Denver is gaining on convention and business travel, but what to do when the meeting is over and your friends want to explore? In the last two years, the dining scene has exploded with over 300 new restaurants, and from mountains to spirits, there is always something interesting. 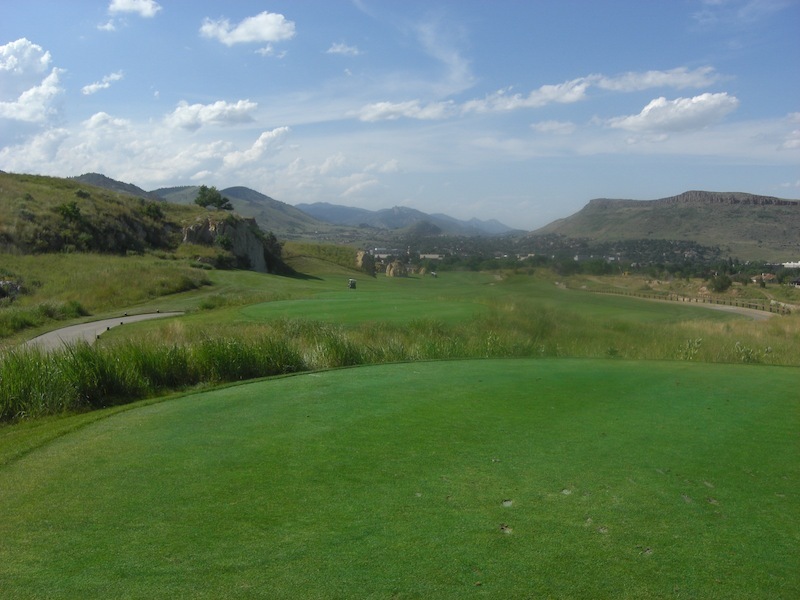 Denver is number four in the U.S. in golf rounds per capita, so the golf courses are very competitive and range from prairie links to mountain vistas. Panzano, in the Hotel Monaco, is a restaurant that could stand alone anywhere because it’s draw and creative food interpretation. The fabulous Happy Hour goes everyday from 2:30-6, and features all of their popular entrees as small or medium plates. Open from breakfast through dinner, Panzano takes local ingredients, gives them a unique twist, and you have some stunning dishes. The zippy Pastiche, is a meatball and tortellini dish with hints of clove and cinnamon. The grilled Caesar, fried Brussels sprouts and butterscotch pudding are worthy items. Hops & Pie is stomach-pleasing food made from scratch with gourmet flair. H&P is the ultimate hook up of brew and pizza, as their craft beers come from allover the U.S., with selections on draught changing daily. Pork belly and bacon mac and cheese, tofu tacos and the beef brisket pizza are standouts. Both a bar section and dining room which makes this Berkeley establishment, 16 minutes NW of Downtown, both family and business friendly. The View House in Centennial is really part sports bar, part restaurant and a whole lot of fun with big views of the Rockies. As a bonus, big time pay-per-view sports events are always shown here, no cover. The restaurant has two levels and two bars, plus three private dining rooms and a cabana. This upscale, casual eatery has everything from wings up to fish, the different nuts and berries salad, and the mega-calorie flourless chocolate cake. The Hacienda Colorado in Lone Tree is Colorado-style Mexican fare. Get started with the Camarones Baja, large shrimp stuffed with jack cheese, jalapenos and wrapped in bacon. Entrees are just as interesting with Chipolte Baby Back Ribs, and Diablo Shrimp Tamales. All dishes can be made vegetarian, and the Portobello fajitas are the best in town. Eleven varying sauces for any entrée provide palate customization. They even make their own margarita mix for one smooth cocktail. A diverse and extensive margarita and tequila menu as well. The Lowry Beer Garden is the perfect spot for a craft brew, sandwiches and different snacks. The LBG has a fire pit, indoor/outdoor seating and a great kids area with 95% of the extensive draft beers being from Colorado. 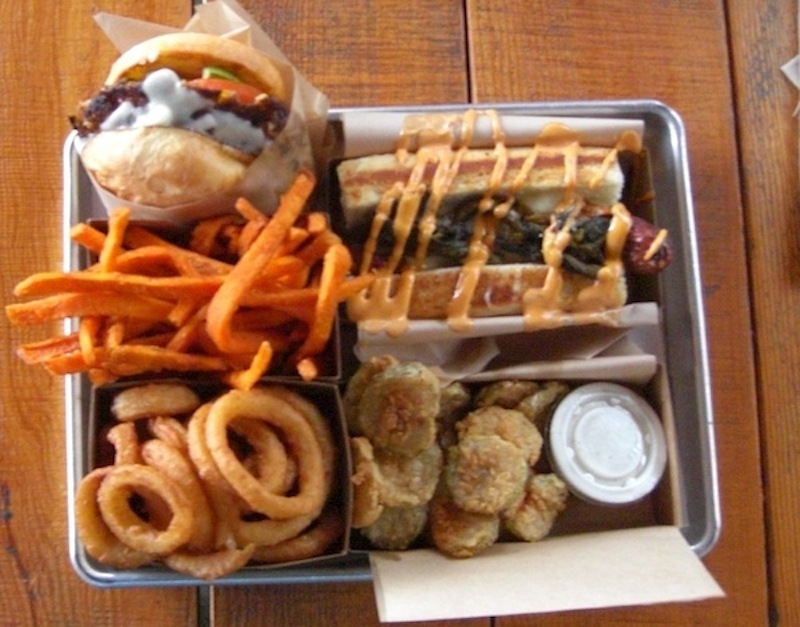 Tasty food choices include the fried pickles, the Elk jalapeno cheddar brat, and Mediterranean Pita sandwich. Lena features adventurous creations on the edge from Central and South America. Lena also won the award for the best taco in Denver in 2015. Dishes include bison tacos, octopus ceviche, shrimp & grits and yuca bread. If you like it, Lena has the best blood sausage in the Rockies. A southern hemisphere wine list with selections from Argentina, Spain, France and regional cocktails. This restaurant is busy every night, so reservations are strongly suggested, even on a Monday. Root Down is a musical term meaning to break it down, and just let it rock. Well, Root Down in the Highlands, just west of downtown, takes this further and lets it rock with creative, jazzy dishes that span from vegetarian to carnivore. Highlights include the seared arepas small plate appetizer, the country fried tofu and the sweet corn risotto. Root Down is like a great song, all the instruments and seamless from start to finish. Bob’s Atomic Burgers in Golden started because the owners wanted an old-school burger, and now it is a now a landmark. 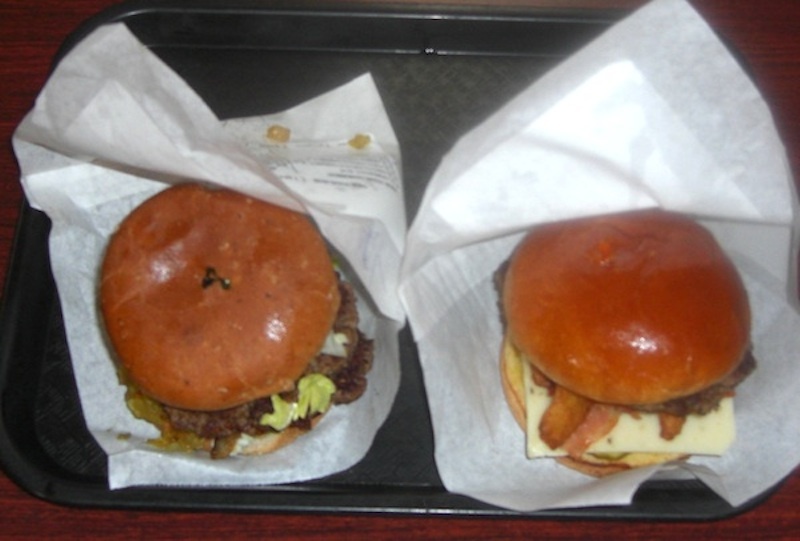 A choice of beef, chicken or quinoa burgers with amazing toppings and their secret seasoning. Round off with the incredible sweet potato fries and malt. Stop here if you are going to Coors Brewery or Fossil Trace. Punch Bowl Social is eater-tainment with 24,000 square feet of urban-deco space with three bars, dining areas, arcades, and event areas hosting 10-1,000 people. Sharing some punch is the drink of choice, with the popular Bachelor’s Bowl, which is buffalo trace bourbon with blackberry and elderflower. Eight bowling lanes, shuffle board, old school pinball games and even private Karaoke rooms rounds out activity options. Made from scratch food that is tasty start to finish. The panko breaded chicken breast in the Chicken & Waffles and the cauliflower nachos are must try items. Chef Frank Bonanno is by all accounts the top chef in Denver, and Mizuna is the pinnacle French restaurant in Denver. Stepping into Mizuna is sophisticated elegance combined with exceptional culinary skill and interpretation. Unlike many French restaurants, it’s not snooty and puts many Italian eateries to shame because it is so welcoming and friendly. 52 seats where reservations are the needed norm. Service and attention to detail set the standard. Appetizers embody Bonanno’s training with his flair for preparation with a modern twist in both the soft-shell crab with red choucroute and the A+ beet salad with quail egg. One third of the menu changes monthly, but some palate winners maintain like the lobster mac & cheese, beef wellington and duck breast. Mizuna is the special occasion place where it’s inspired food prepared with passion. Dine with a sense of western food history at The Fort in Morrison. 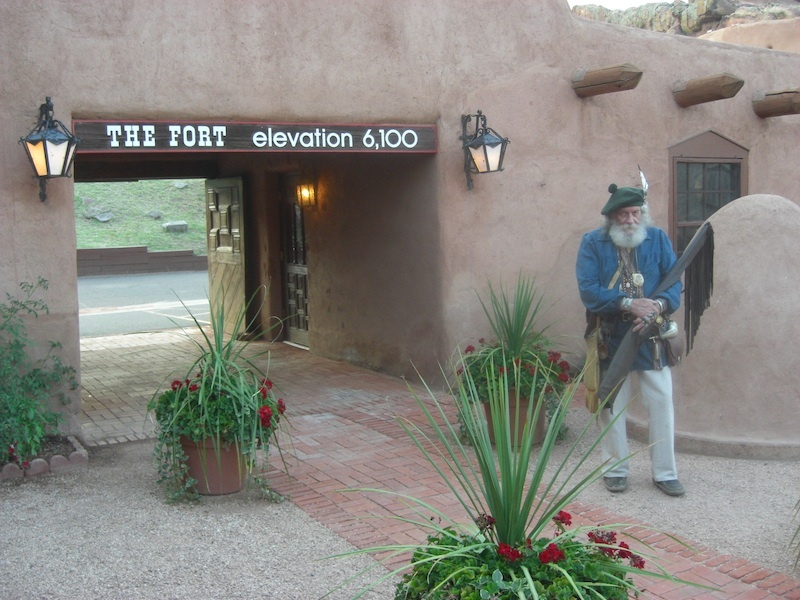 A replica of Bent’s Fort on the old Sante Fe Trail, this is like stepping back into food history. Buffalo steaks, hearty vegetarian fair and western desserts give the menu every option. Peanut butter stuffed jalapenos give you an idea on how they are taking authentic western food and atmosphere from 150 years ago and giving it a new twist. A great patio where drinks, appetizers are complimented by views of the foothills and downtown. 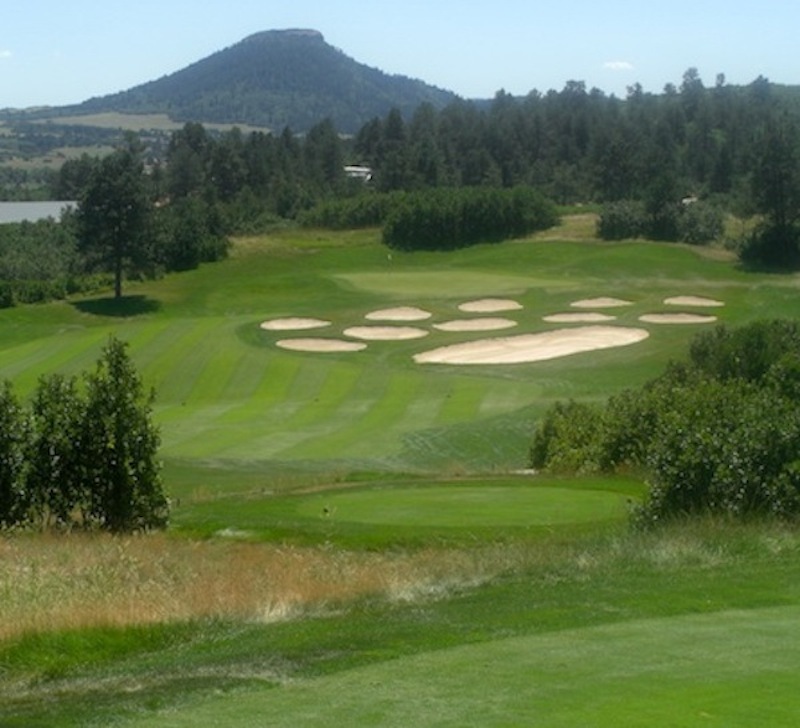 Golf requires driving out of Denver to get to great course conditions and interesting layouts. Common Ground is just east of downtown by about 16 minutes, with the impact of the urban environment minimized and barely noticeable as the course meanders through bordering wetlands. As the home of the CGA, they have an ongoing caddy program, a nice option if you want a little more conventional golf exercise. All the holes have different configurations, and three standouts are #’s 11, 14, and the par-5 18th. Fossil Trace in Golden, 19 minutes from downtown is resort-level golf placed into the middle of 65 million years of stunning rock formations. A municipal course with country-club conditions, a great GPS system and stunning views on most holes. It’s a great facility when the rental clubs are Titleist. Just about every hole is a signature hole, with the standout the par 5, 12th. Playing right down the geological formations with fossils protruding, there is a sense of both history and wonderment on this course. The greens have levels and undulations, and the native grass can be dense off the fairway, so extra golf balls are generally needed. Bear Dance is about 39 minutes south of Downtown, nestled into the wooded foothills near Larkspur. Views of various buttes and even Pikes Peak on almost the entire course. As the course twists and bends through draws combined with pine and oak ridges, no two holes are the same in this mountain environment that is city-close. Total yardage goes from 5200-7600 yards, so options for all abilities. The bear paw bunkers of #6 makes this the signature hole. A great range, clubhouse and putting green accompany your round. If you smoke, leave them in the car, as this is a non-smoking course. The Cigar Festival, Play the Omni!